← Humility Astounds the Room! 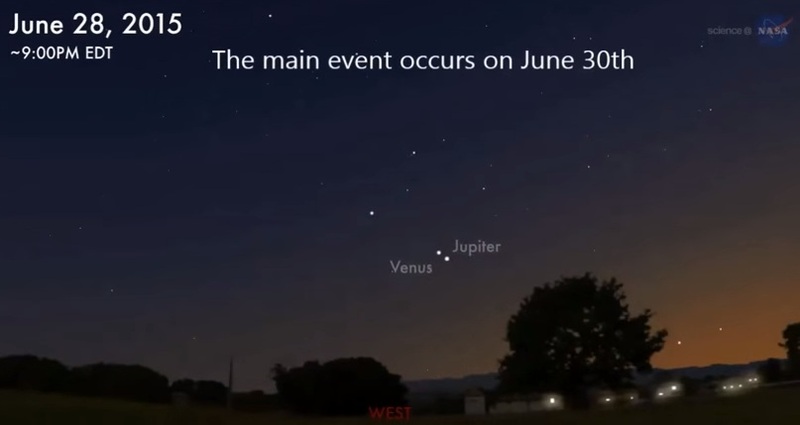 NASA is calling it the possible “return” of the “Star of Bethlehem” in our post-dusk western sky. Sign of the First Coming — Season of the Second Coming? For I do not want you, brethren, to be uninformed of this mystery– so that you will not be wise in your own estimation– that a partial hardening has happened to Israel until the fullness of the Gentiles has come in. This entry was posted in End-time Bible prophecy, Signs of the Times, strange signs and tagged end-time signs, Jupiter-Venus, planets, stars. Bookmark the permalink.